Immanuel Kant (1724-1804) was born in Konigsberg, Prussia, where he remained his entire life. His others works include Critique of Pure Reason and Religion Within the Limits of Reason Alone. 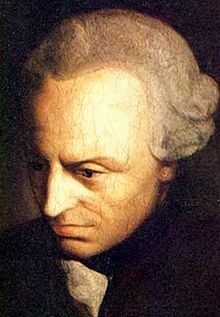 The following is a personality profile of Immanuel Kant based on his work. Immanuel Kant is shrewd, somewhat inconsiderate and can be perceived as indirect. He is empathetic, he feels what others feel and is compassionate towards them. He is laid-back as well: he appreciates a relaxed pace in life. But, Immanuel Kant is also unstructured: he does not make a lot of time for organization in his daily life.